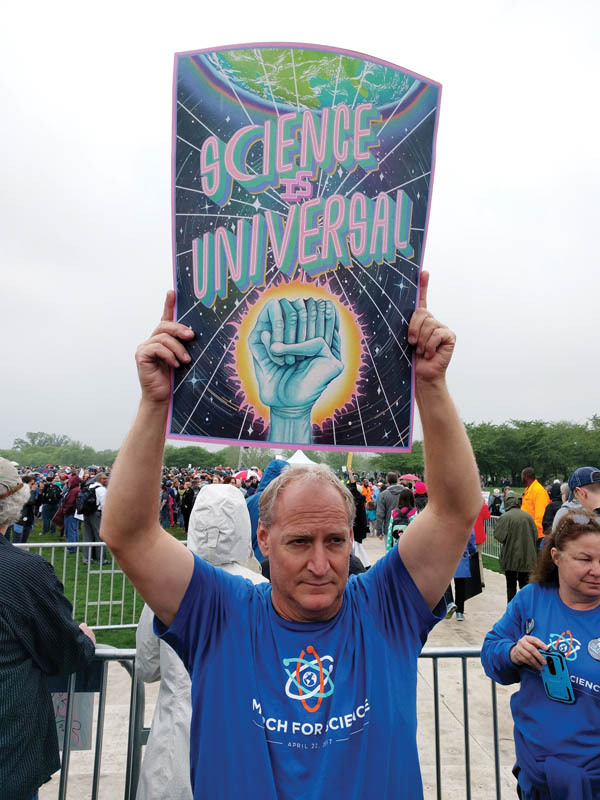 On April 22, hundreds of thousands of people—scientists among them, but also everyday citizens—took to the streets for a cause that isn’t often a part of political protest: science. The March for Science was actually over 500 Marches for Science, happening in cities all over the world, on every continent but Antarctica. 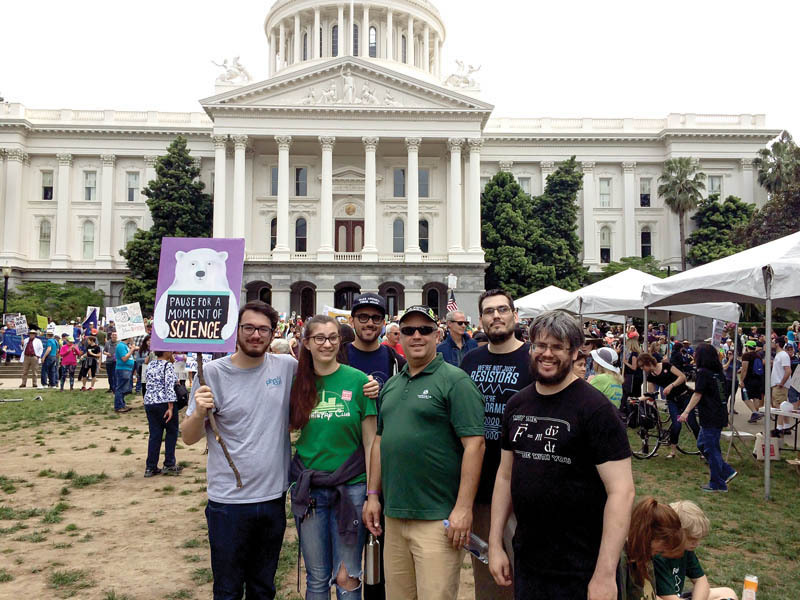 Scientists, even those who often don’t typically participate in political demonstrations, flocked to get involved. 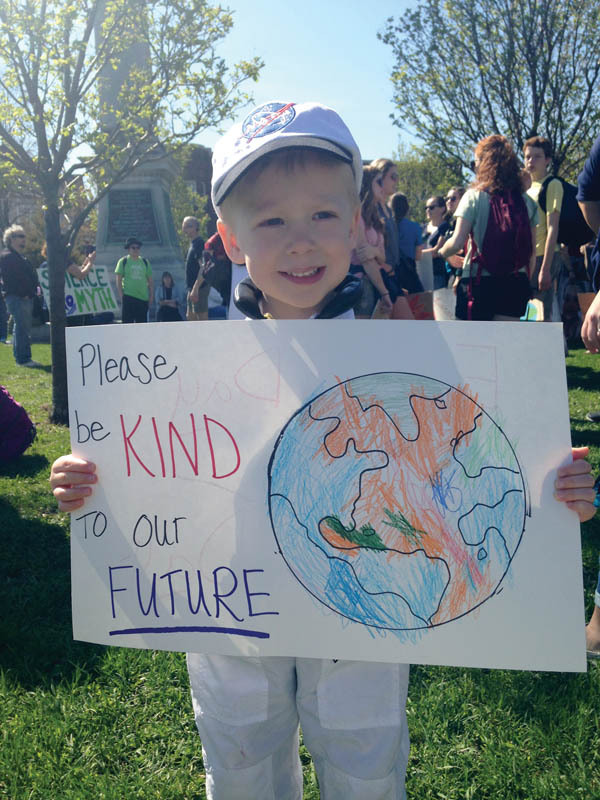 After all, many said, supporting science isn’t a partisan issue. And get involved you did! We heard from SPS members across the country who attended or even helped organize local marches. On the next page are some words from two of them, Mark Samuel Abbott and Alex Leith. 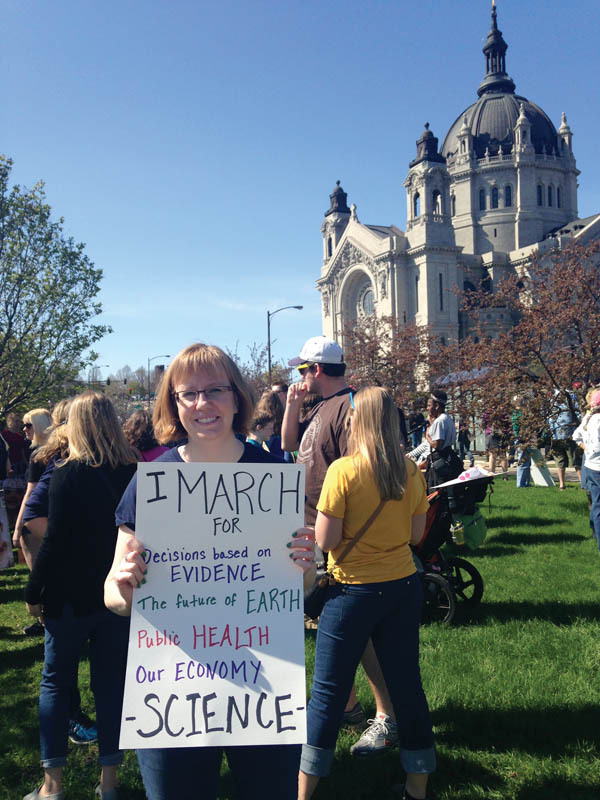 The March for Science was a formative day for me. Before the march, I had a tendency to view my field in a vacuum (as we physicists are wont to do). I looked at my physics department, proud that it has almost 100 majors, and considered my community relatively large yet fairly isolated. In my general education (GE) classes, no one wanted to hear about science, let alone physics. I would bring up physics at every opportunity because I just couldn’t hold my passion in, and I was under the impression that I was relatively alone in that regard. But at the march I discovered that my community is so much larger than I thought it was. 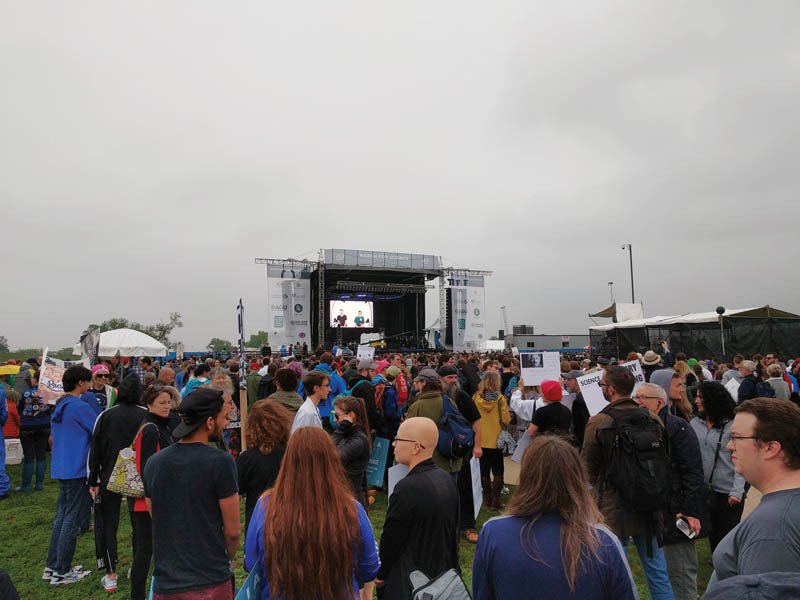 I saw thousands of people demonstrating their love for science in a peaceful way, and it was awe-inspiring. 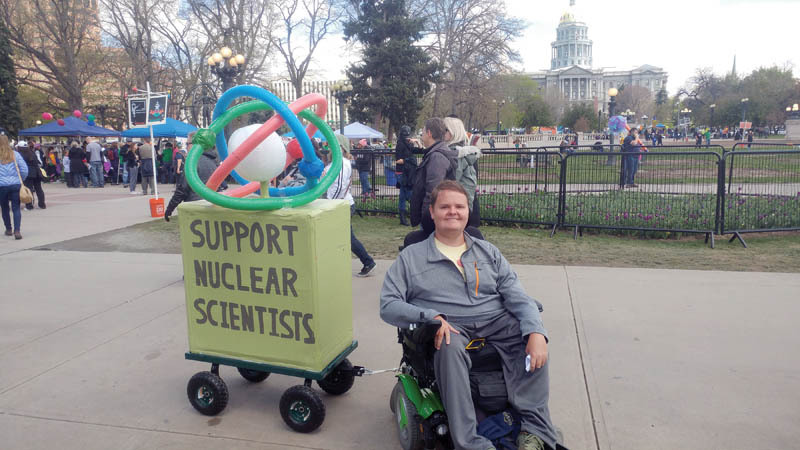 I discovered that I am not alone in my love for science and that there are thousands of people around me every day that would march for my cause and love doing it. 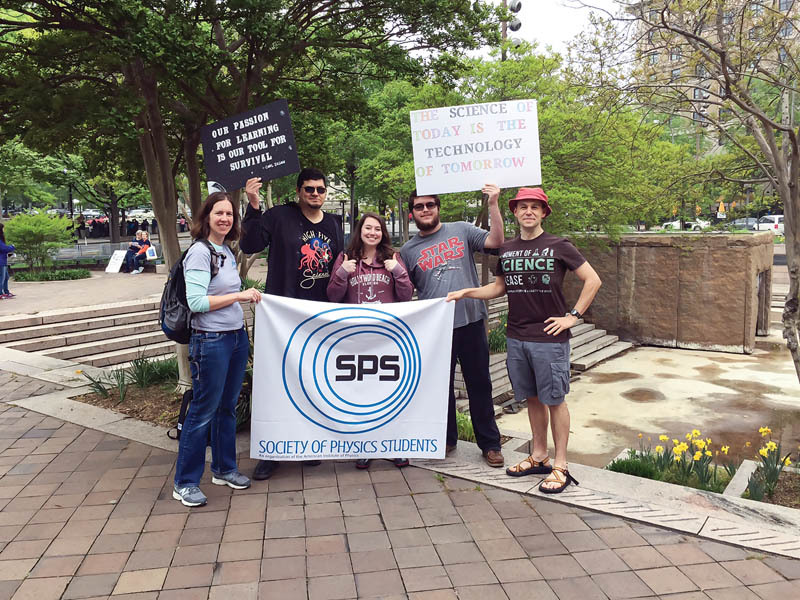 I was so worried about support for the sciences recently because it seems like scientists have been rather put upon, but the march reassured me that the public loves science as much as I do. I thought that public opinion had shifted to be against science, and it honestly had been discouraging me from following my dreams to become a physicist. But I’ve changed my mind. The march renewed a vigor in me that reminds me of when I was a bright-eyed and bushy-tailed freshman. I feel so grateful that I had the opportunity to participate in this amazing event and will remember it always. Like most of the organizers in Denver, I joined in response to President Donald Trump’s proposed cuts to the EPA and other scientific institutions. Many people in Colorado rely on companies and organizations like Lockheed Martin, NCAR, NREL, and many others for employment. I have friends who were not sure that they could get jobs at these institutions due to these proposed cuts! Like many others, we took to the streets to express our concerns. The day of the march started off rainy and ominous. None of us were certain that people would come. As our teach-in groups—scientists, educators, and science-motivated institutions like the Nature Conservancy and Dinosaur Ridge—started showing up, the sun came out. And the people of Denver began showing up in force. Denver was tied with New York City as the fourth most populous march in the world, with over 20,000 people in attendance! The Denver chief of police commented to us that the march was “the calmest and most-organized protest he has ever seen.” We left Civic Center Park cleaner than we found it, and all of our equipment and people were out of the park just three hours after the March ended. This experience shows what can happen when you get a group of scientists behind the wheel of public discourse.